We are finalists in Northern Design Awards! 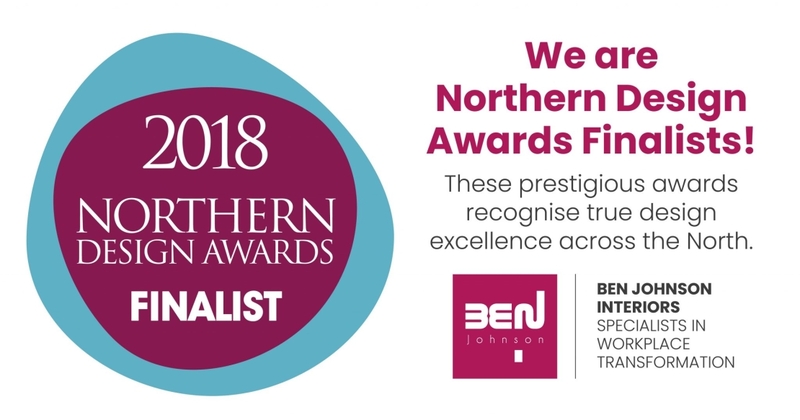 We are delighted to announce that Ben Johnson Interiors are finalists in two categories of the Northern Design Awards 2018! These prestigious awards recognise true excellence and bring together top designers and property developers in a celebration of Northern design and style. 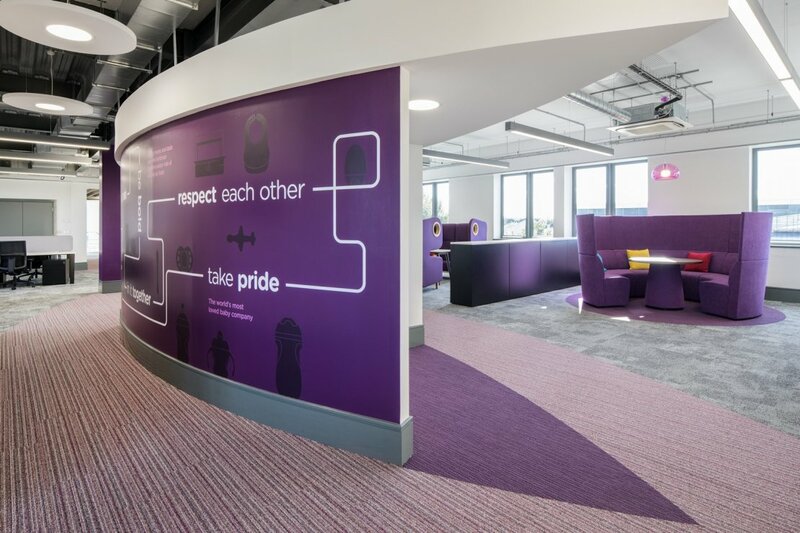 Ben Johnson Interiors is thrilled to be a finalist in the “Amazing Space” and the “Interior Design Project” categories for its ground-breaking design for Mayborn Group’s new headquarters in North Tyneside. Mayborn Group is the powerhouse behind global, baby brand Tommee Tippee. We worked closely with Mayborn Group to design and build a stunning HQ poised for the future. The completed, 30,000 sq ft workplace offers the 170-strong HQ team choice, comfort and autonomy in the way they work. The whole concept of the interior design supports collaborative working and encourages creativity and expression. For instance, on the ground floor you will find colourful “park” and “beach” meeting areas with trees, picnic tables and swinging chairs. For privacy or small gatherings, there are numerous themed meeting rooms based around toddler activities and the global locations where Mayborn operates. 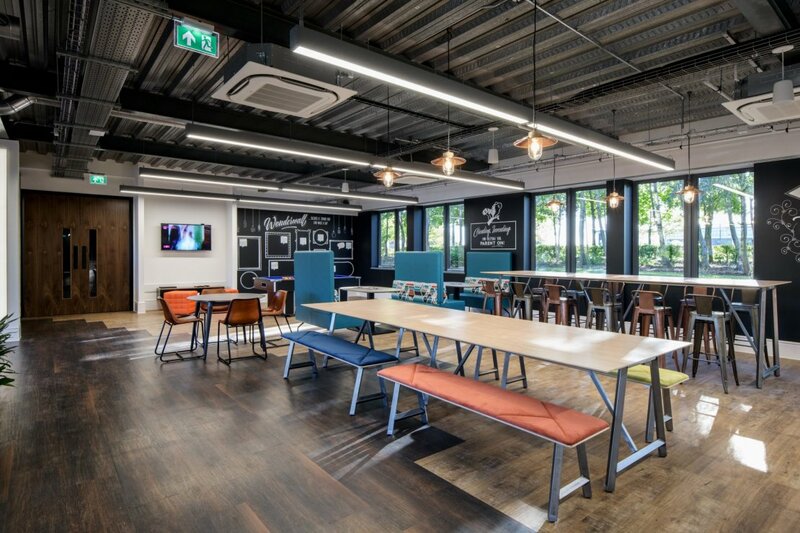 A variety of seating zones, with café, lounge and tiered seating, along with games areas, have been installed throughout the breakout area to offer maximum flexibility for informal meetings, group presentations and to allow people to relax together during breaks. The upper floor working areas – although more “business” orientated – are still aligned to the relaxed ground floor. 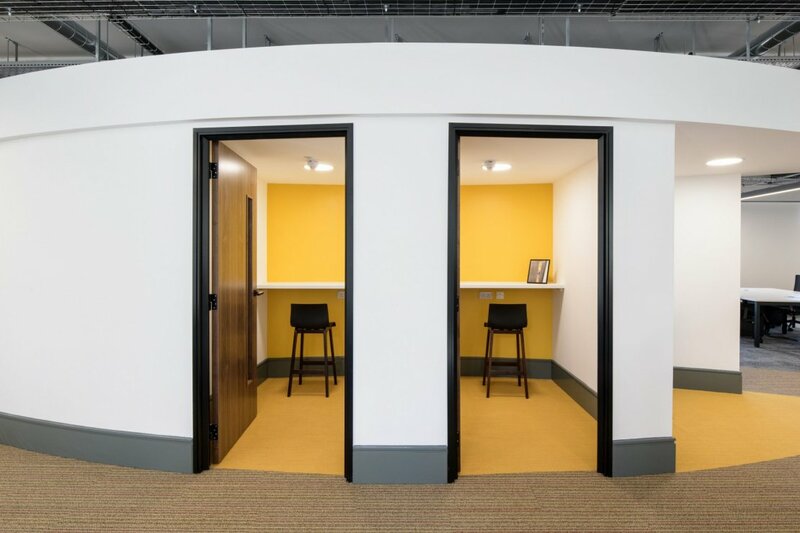 Each has striking corporate colours, playful typography, a choice of comfortable meeting areas, sound-proofed booths and large cheerful kitchen areas. This impressive, fully digital working environment has Research & Development labs on site and also state-of-the-art conferencing facilities to connect Mayborn Group HQ with its global markets and teams. The Northern Design Awards “Amazing Space” category recognises spaces that break the mould, are visually stunning and deliver exceptional functionality. The “Interior Design” category is looking for an outstanding project that embodies style and innovation as well as excellent design. We believe our designs for Mayborn House fit both criteria perfectly and we hope very much that the judges agree! The awards ceremony takes place in Manchester on Friday 16th November 2018.